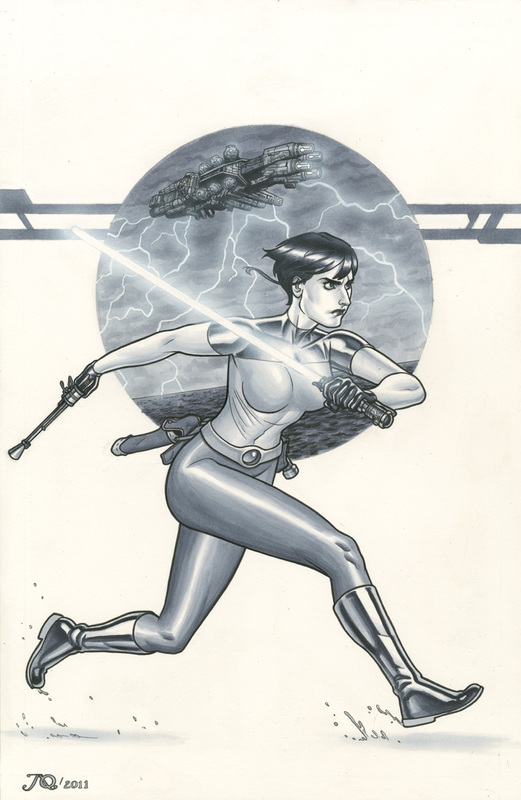 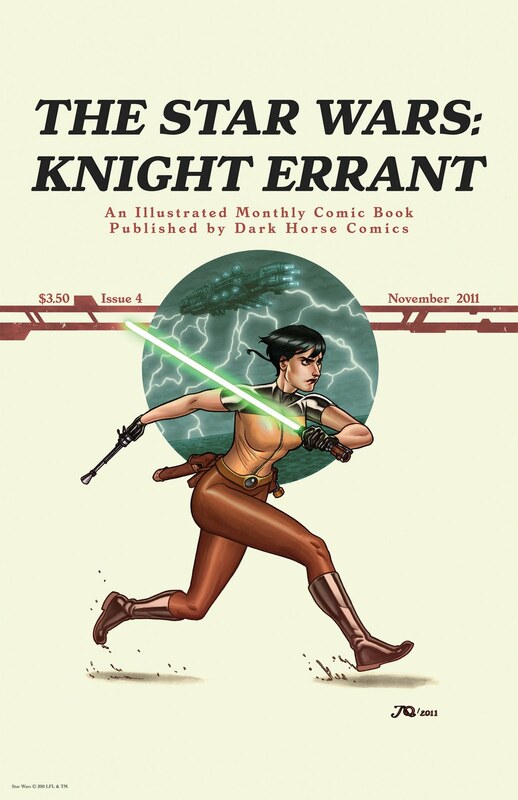 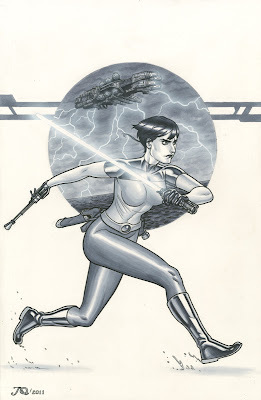 Cover four of Star Wars: Knight Errant - Deluge. She has the patience of a Jedi. 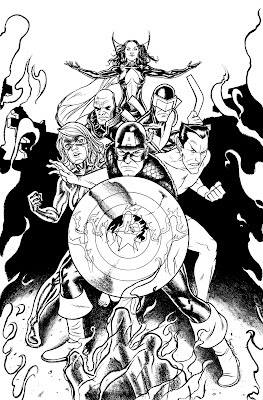 While I'm here, here's a look at the black and white art for the other cover I had come out this week, issue 165 of Marvel's Thunderbolts series. 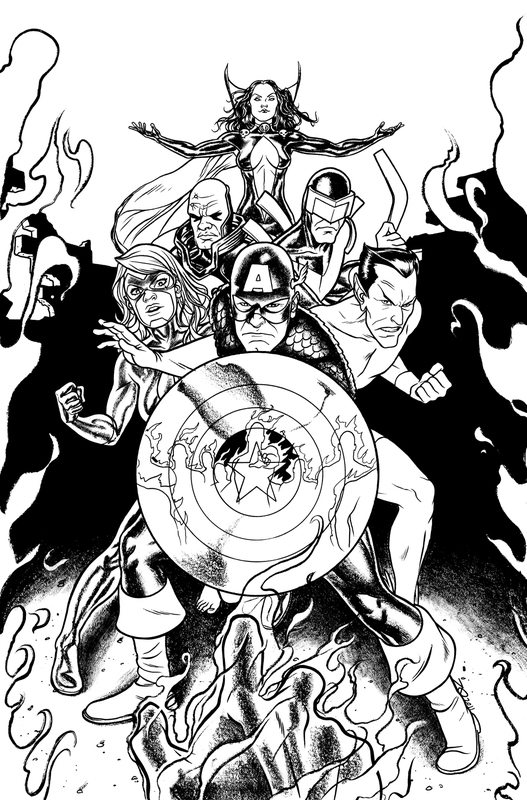 Click here to see the final colors by Rico Renzi! 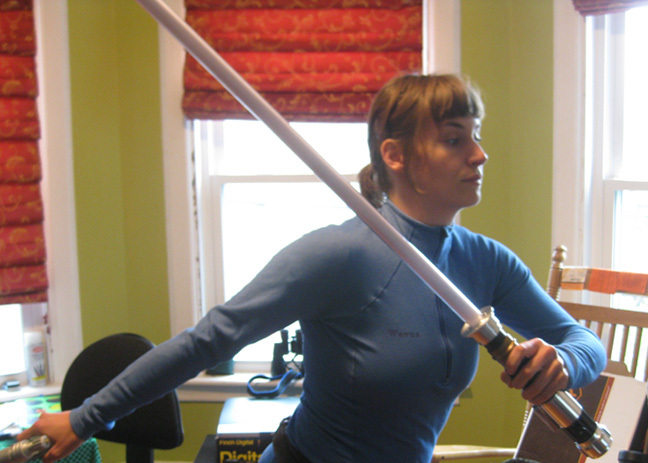 Have a good weekend, every body.